For me, the 4th brings up bittersweet memories….. I’m grateful for them since living with MS has robbed me of many of them. The many pictures I have of these celebrations allow me to reflect and remember. Sitting on Main Street waiting for the parade and the barrage of candy thrown by the floats as they traveled down the street. Grams worried Belinda would get too close to the trucks. Belinda hiding and covering her ears as the fire trucks came by – her sensitive ears were always a concern for Grams. Want to check out a GREAT “Christmas in July” sale? Stop by my Thirty One website to grab some awesome deals. The sale goes through July 11th. What is the Link Between Self-Esteem & Technology in Girls? I am excited to tell you about a groundbreaking study of more than 10,000 U.S. girls which Thirty One Gifts cosponsored with Ruling Out eXperiences, Inc. (ROX). It is the largest of its kind and revealed surprising information on the role of technology on girls’ self-esteem. I know we have all heard about cyber bullying or “the mean girls” on social media and for some, they say “it won’t be my kid”. Well, I felt the same way many years ago, until I read something my daughter wrote about being bullied. You can read the story on my very first blog post “Bullying – The Visible vs The Invisible“. The findings of this study is heartbreaking. While they give us a glimpse into the raw truth about girls fifth through 12th-grade and their perception, it is also an opportunity for us to look for ways to be mentors and be a positive influence in their lives. TO EQUIP GIRLS WITH THE KNOWLEDGE AND SKILLS NECESSARY TO LIVE HEALTHY, INDEPENDENT, PRODUCTIVE AND VIOLENCE-FREE LIVES. 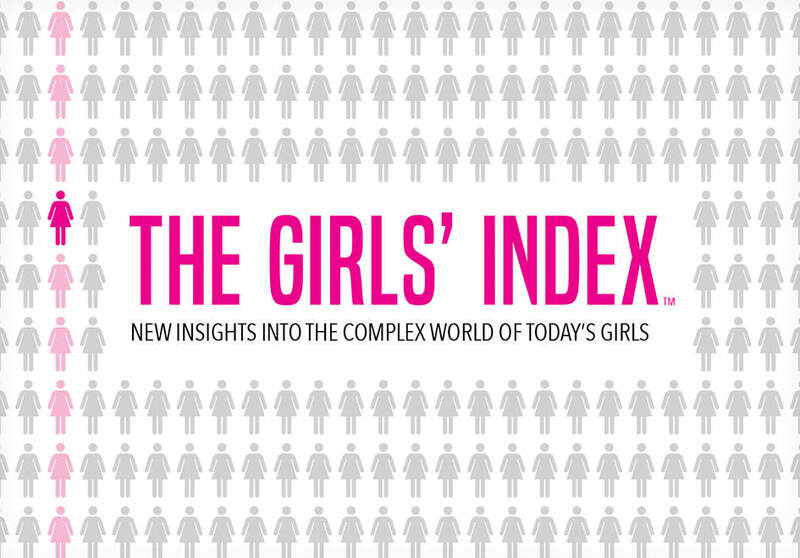 ROX announced the findings of their study from The Girls’ Index: New Insights into the Complex World of Today’s Girls a few months ago. This national survey was taken of 10,678 fifth- through 12th-grade girls with the sole purpose of capturing the girls’ perceptions and experiences around fitting in, body image, peer pressure, academics, friendships and relationships. The report is a comprehensive picture for parents and educators on the thoughts, beliefs and behaviors of girls across the country. The demographics are from every walk of life – cultural, ethnic, socioeconomic of the school district, and the type for school for a broad spectrum of girls. #1 Most girls like to be in charge, but self-doubt can impact their pursuit of leadership. A surprising 46% of the girls reported they don’t say what they are thinking or disagree with other peers. WHY? Because they want to be liked with 1 in 3 girls being afraid to be a leader because they don’t want others to think they are bossy. #2 30% of the girls with the highest grade point averages (4.0 or above), don’t think they’re smart enough for their dream careers. Despite their high academic achievements, they are still filled with confidence issues. #3 Girls who spend the most time using technology (8 hrs./day) are 5x more likely to be sad or depressed nearly every day compared to the girls who spend four or fewer hours. If this isn’t a reason to restrict technology time, I don’t know what is. Technology and social media greatly impact girls’ relationships, achievement, confidence, mood and school engagement. #4 By high school, sexting is common and prevalent with 2 out of 3 girls reporting by 12th grade they have been asked to send a sexually explicit photo to another person. I am so grateful cell phones weren’t popular when my daughter was growing up. #5 Girls who have strong and trusting friendships with other girls fare better and report significantly lower levels of sadness and depression. This study shakes me to my core. I grew up lacking confidence. I had friends but not the kind of strong trusting friendships which helped me to battle sadness and depression. Those emotions and experiences traveled with me through my college years straight through to my years of addiction. My goal was for my daughter’s life to be different. She was blessed to have one or two strong, trusting friendships growing up yet on the inside she lacked confidence despite the outward strong appearance. The bottom line is we as parents, teachers and coaches are missing out on at least half of what girls think, know and believe. YIKES! We are losing the creativity, contributions and impact these young girls can make on the world. As these studies become public, as awareness grows, we have an obligation to do better and a responsibility to make the world a place where girls can feel confident and capable. Thirty-One Gifts proudly partner with ROX to provide girls with opportunities to talk candidly and openly about their experiences, while arming them with tools to positively and safely use social media, navigate relationships and manage pressure to ultimately develop a positive self-concept. Learn more about ROX, including ways you can get involved, at rulingourexperiences.com. Share some of the products from Thirty One’s URU collection. The Be the Give! Littles Carry-All Caddy comes with a special message “Love who you were born to be”. A great way to encourage and celebrate the young girl in your life for Valentine’s Day or Easter or just as a “thinking of you” gift. It is also the perfect solution for organizing the little things in your life. From office supplies to eating utensils and cosmetics, this caddy helps keep your life in order by keeping everything right at your fingertips. Great for gifts, small toys, crafts, office desks and candy. Won’t you help to make a difference in the live of a young girl? I may be showing my age but how many of you remember the movie “The Color Purple”??? It was on Broadway not too long ago too. I was reading a blog recently and I got to thinking about a scene in the movie…. Maybe someone has these words to you. Maybe you have thought them of yourself. Those inner gremlins like to beat us up when we are at our weakest moment. I may not be black BUT I have thought many times I was ugly and no one would ever want me. Over the years, I have stomped on those inner gremlins but I must admit, they do rear their ugly head sometimes. We are all here for a reason. There are people who were here this time last year who aren’t here now. They’ve moved on. In some instances, they’ve passed on. Whatever their purpose, it is now done. But you’re here. And one of your most important jobs in life is to know why. I don’t know about you but I struggle with this…. In my “social work life”, it was easy for me to say what my purpose was. My job and my life were intertwined. I could see the difference I was making. Does your job define who you are? Does it help you to explain your purpose in life? As I moved from the non-profit world to my own business, defining my purpose was a little bit more difficult. How is someone’s life better when they cross your path? This answer is something which comes from the heart. You should be able to “spill it out” in under 15 seconds. What would your answer be? My purpose is to bring a smile to those who are struggling reminding them they are special. I love to see the smile on someone’s face when they receive happy mail or an unexpected gift or even a handcrafted angel. A simple compliment can make a difference in someone’s day. Your purpose is about how you uniquely serve the world and make it better in some way. It uses your unique gifts, strengths and experiences. It is something you do well. And it comes naturally to you. At work, it answers the question, how is this company better because I work here? In your family, it answers, how is this family better because I’m in it? If you don’t know your purpose, I challenge you to take just a few minutes to get quiet and answer the question. Once you have the answer, write it down. Don’t forget it. Make it your mantra. A fulfilling life is a life lived with purpose. Share your purpose with us so we can CELEBRATE you. We are just 18 days from Christmas and I see the panic on the faces of many struggling on what to get those on their holiday list. I will admit, I had those moments looking for the “perfect gift”. Having moments where I let the inner gremlins step in bashing those out of the box ideas…. Has your gift giving list grown? Has your office just decided to hold a Secret Santa? Are YOUR friends looking for gifts for people in their office or do they know someone who is looking to give gifts to their co-workers or customers? For those of us in direct sales, I know this sounds OBVIOUS but have you approached them about using YOUR products as gifts. Now, I don’t mean just hand them a catalog to look through, I mean really help them with their gift giving dilemnas. I offered my customers this year the opportunity to make their Christmas Wish List. Remember the wish list of your childhood. The one where you scoured the catalogs and sale papers making a list of EVERYTHING you could possible want then gave it to your parents who shared it with everyone in the family. Some created their own list of what they wanted and then told family to contact me. While others, provided me with a gift list and a few words describing person they needed to buy a gift for. I then made practical suggestions from our product lines for them. I know you are all thinking – when do I have time to do that in addition to my shopping, work (full and part-time), kids, etc. The reality is most will not take advantage of it BUT you could start off by offering it to your hostess or those VIP customers who shop year round with you, never missing an opportunity to share your business with others. Busy Mom, Mom Taxi – what about a Thirty One Hanging Traveler Case bag filled with pens, pencils, note paper, crayons, etc. to leave in the car. Maybe even a few non-perishable snacks for the kids or an energy bar or two for mom. You never have to hunt for a pen or you can keep the kids busy while in the car. Hubby, Mechanic, Car fanatic – How about an Zip Top Organizing Utility Tote filled with everything they would need to take care of their car? They can keep everything in the trunk – organized so there is still room for the groceries. College Student – How about a Large Utility Tote filled with everything they would need in an emergency? Blanket, jumper cables, first aid kit, etc. Our daughter got one when she started driving. I know, most people have AAA but honestly sometimes they take FOREVER! In the dead of winter, would it be nice to have a filled bag in the trunk so when a good Samaritan stopped to offer assistance you had the supplies you needed. How about filling it with snacks along with a gift card or two. You will be sending them back to school with food to get through those tough nights of studying.. So, have I sparked any ideas? Are YOU thinking outside of the box? Some people will think it is tacky to give a gift of the product you sell but think about how special it will be if it is combined with something they would know you picked out just for them. I mean we all LOVE our products, why not share them with friends, family and co-workers. What are you doing for “outside of the box” gift giving this holiday season? I am still looking for a few gift ideas, how about sharing YOUR best company gift idea with us.